The mounting challenges posed by cost containment policies and the prevalence of generic alternatives make optimizing the lifecycle management (LCM) of brand drugs essential for pharmaceutical companies looking to maximize the value of their products. 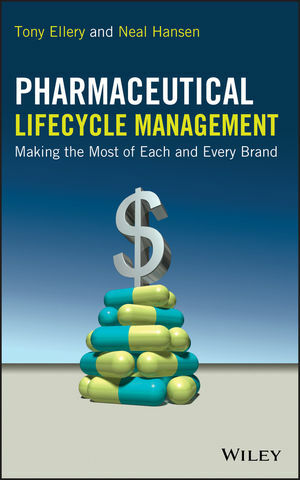 Demonstrating how different measures can be combined to create winning strategies, Pharmaceutical Lifecycle Management: Making the Most of Each and Every Brand explores this increasingly important field to help readers understand what they canand mustdo to get the most out of their brands. Offering a truly immersive introduction to LCM options for pharmaceuticals, the book incorporates numerous real-life case studies that demonstrate successful and failed lifecycle management initiatives, explaining the key takeaway of each example. Filled with practical information on the process of actually writing and presenting an LCM plan, as well as how to link corporate, portfolio, and individual brand strategies, the book also offers a look ahead to predict which LCM strategies will continue to be effective in the future. While the development of new drugs designed to address unmet patient needs remains the single most important goal of any pharmaceutical company, effective LCM is invaluable for getting the greatest possible value from existing brands. Pharmaceutical Lifecycle Management walks you through the process step by step, making it indispensable reading for pharmaceutical executives and managers, as well as anyone working in the fields of drug research, development, and regulation. TONY ELLERY is a consultant with Ellery Pharma Consulting. Until September 2008, he was the Head of Pharmaceutical Lifecycle Management in Portfolio Management at Novartis AG. Prior to this, he occupied positions of increasing seniority in research, development, and marketing at different companies, including Roche, Ciba Vision, and Novartis. Dr. Ellery has served as a member of the Ciba-Geigy Research Advisory Board and the Novartis Pharma Development Management Board. He is a popular speaker on lifecycle, project, and portfolio management. NEAL HANSEN is the Managing Director of Healthcare Consulting within the Informa Group, encompassing Datamonitor Healthcare Consulting and Phasic Strategy. Previously, he was the European Head of Consulting within Wood Mackenzie's Life Sciences Practice. He works with many key players in the pharmaceutical industry to support effective decision making for brand and portfolio strategy and has chaired and spoken at numerous conferences in the field of lifecycle management and the changing nature of the generic drug industry.